High-powered magnets in the shape of push pins fasten to any magnetic surface to securely hold up to 6 pages, creating an instant bulletin board. Convenient, clear plastic storage package. Accent messages with brightly colored plastic magnets. 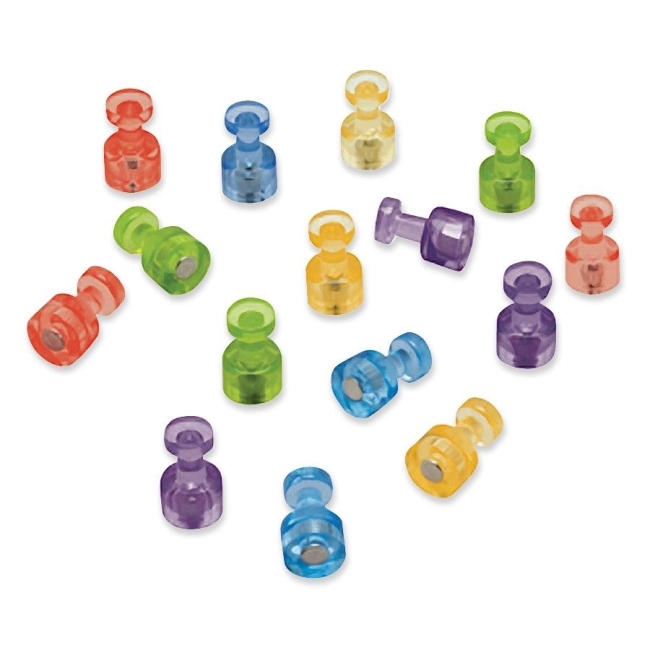 Set includes 20 push pins in assorted colors.